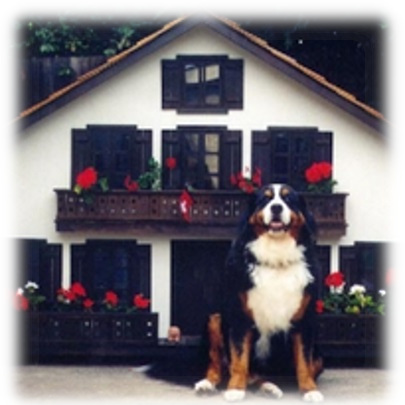 Luxury Dog Houses | The Last Word in Posh Dog Houses! The luxury dog houses we're going to be talking about here are the last word in custom homes for your pet and are designed for the most discriminating of buyers. The images shown on this page will give you a glimpse of some previous designs, both inside and out, which are sure to inspire your own ideas. If you've been thinking about luxury dog houses for your furry friend or friends - yes they can be made for more than one dog and even big enough for you and your friends to stand up in - you most likely have some ideas about what you want. 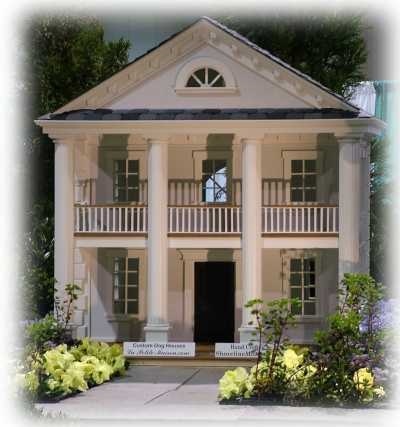 Maybe a replica of a famous residence or landmark, your own home, or something you have seen elsewhere? 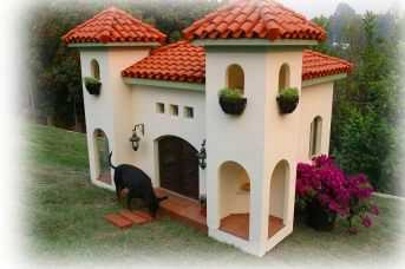 So.. to reiterate, these are not kit dog houses - perish the thought! Each one is a custom design made specifically for your pet and his/her needs and constructed on your property, or can be shipped whole to your home around the USA or internationally. The benefit of working with our award-winning designers, is that your dog's dream house will be artistically designed by a world class team and built from the ground up with meticulous attention to every detail. You'll have expert help in refining your vision, the style and size of dog house, what amenities you'd like it to have and "voila", it will be custom designed to meet all your expectations. An initial "no obligation" discussion with the designer to formulate your ideas and your pet's needs. A unique hand-signed work-of-art made exactly to your specifications. The highest standard of construction and building materials that are on par with what you would expect or want to use in building your own home. 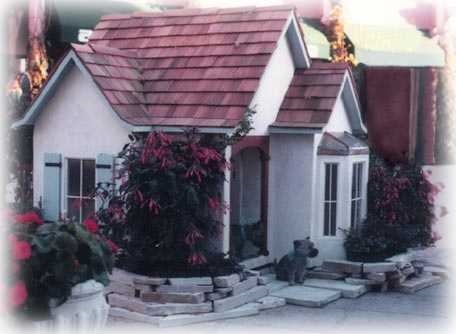 In fact many owners choose to have their custom dog house actually match the style and construction of their own residence. 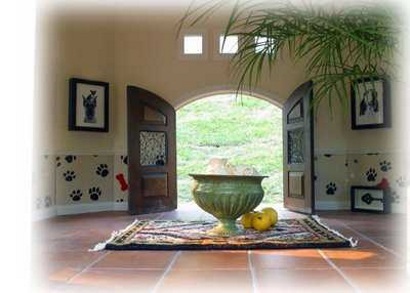 A design team to work with you from start to finish going over every aspect of your dream dog house. 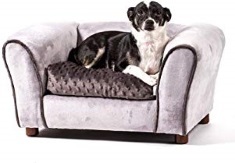 Heck, they'll even want to know a whole lot about your dog including its personality, likes, dislikes and habits, any mobility issues, allergies etc., because all of this is very important information and will be influencial in the doghouse design. Floor covering, lighting, running water, wallpaper, window coverings, finished interior walls, custom moldings, heating/air conditioning, number of levels, exterior surface treatment and decorative trim etc. 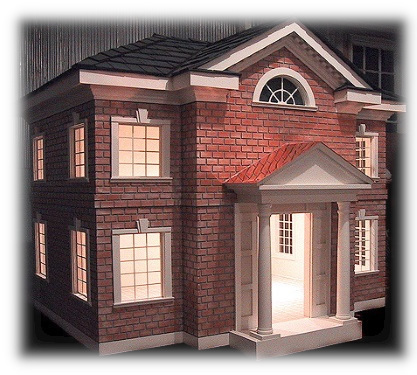 On the other hand, you may just be looking for an architectural style that is simple, yet a classicluxury dog house design without many bells and whistles and that is what will be learned in the first consultation. Some of us enjoy very minimalist designs - myself included - drawn more by style and comfort concerns when it comes to pets. So, don't think luxury dog houses are all made to get "celebrity" attention. 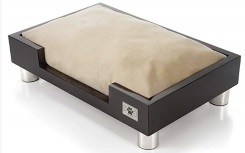 But, it is fun to peek at some of the upscale fab designs that have been created for clients. 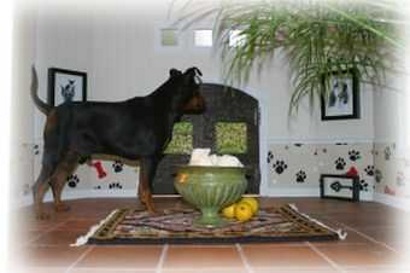 One "nice to have" option that is popular and your dog might enjoy, is interior and exterior lighting. 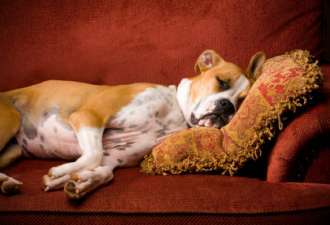 Windows for ventilation and/or HVAC installed for year-round climate control is another consideration to keep pets comfortable. Among the exterior choices, Window boxes add an attractive addition to the windows. 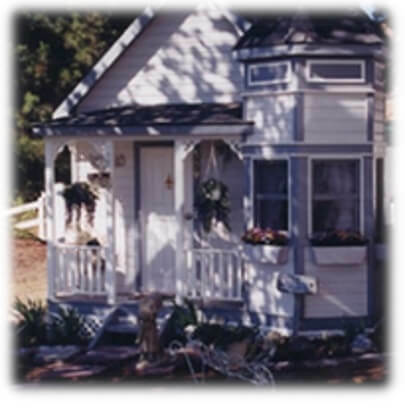 A variety of finishes and materials to consider include stucco, siding, tile, shutters - whatever seems appropriate for your chosen style. 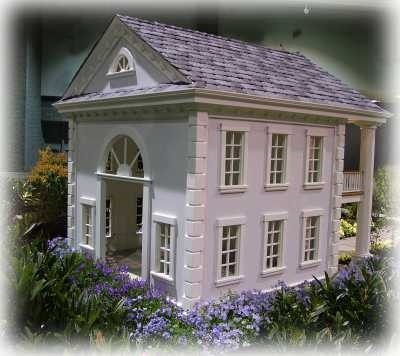 If you want your luxury dog house to reflect the style of the family home, that can also be accomplished. 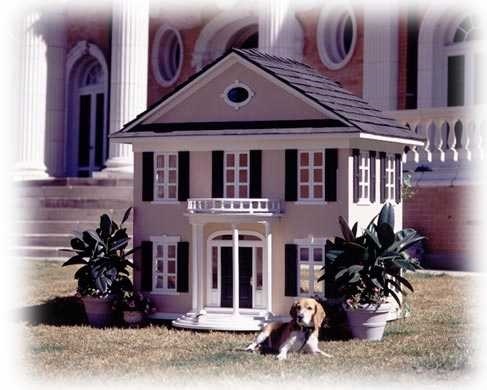 Luxury dog houses have been custom made for every size of dog from Chihuahua to Great Dane and even large enough for several people to stand up inside! 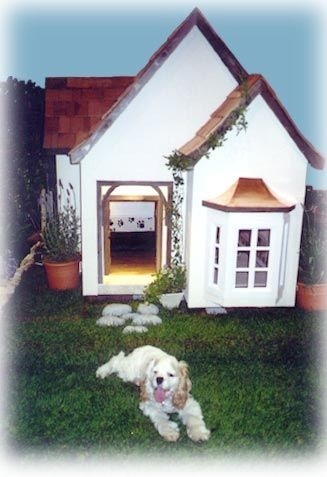 Let the designer help you achieve a custom dog house that will be truly unique. If you seriously want to consider a custom creation for your pet(s), Use the contact form below to let us know what you have in mind, any additional information you need, or to order something something similar to any of the models above. We will get back in touch with you to answer your questions, or to go over a custom request in more detail. 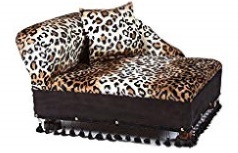 Furniture For Your Pet's New Digs?